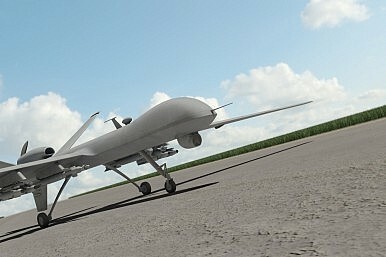 Is US Drone Warfare Here to Stay? The CIA’s targeted killing program might be in jeopardy. When a CIA-led drone strike on an al Qaeda compound in Pakistan took the lives of two western hostages last month, including an American aid worker, Warren Weinstein, who had been kidnapped by the group, dozens of skeptics came out of the woodwork. Now, according to Defense News, a cadre of heavy hitters in Congress are stepping up, calling for the program, run under the discrete auspices of the CIA and the Defense Department’s Joint Special Operations Command, to be placed under direct Pentagon authority. Since the United States first started using drones under President George W. Bush in 2004, the program–largely directed against terrorist groups in the mountainous Federally Administered Tribal Areas in northwest Pakistan along the Afghan border, which enjoy semi-autonomous status from Islamabad–has claimed between 2,449 and 3,949 lives, according to reports from the Bureau of Investigative Journalism, a London-based non-profit (see: “US Will Continue Deadly Drone Strikes in Pakistan”). The region is famously home to some of the world’s most notorious terrorist groups, including the Pakistani Taliban, Tehrik-e-Taliban, the Haqqani network, and al Qaeda. What would an American drone program look like under the Pentagon’s purview? Probably leaner, although Obama’s draft budget for Fiscal Year 2016 blows through federally-mandated spending limits on defense. With the U.S.-led mission in Afghanistan headed toward conclusion, it will be tough to justify the strikes to Islamabad. Although it has had mixed results in the fight against militants, Pakistan remains the linchpin of U.S. counterterror operations in South Asia. In the mean time, strikes are expanding in other regions of the world: they fly from Camp Lemonnier in Djibouti, just north of the Horn of Africa, to strike Yemen and Somalia. But those places, which often rank low on America’s foreign policy radar, can be tough to visualize and sympathize with for the same critics who so vocally protested Weinstein’s death. Additionally, the Defense Department’s resources are no guarantee of success, and to keep the drone program afloat, the Pentagon won’t just have Congress to reassure, but also the war-weary American taxpayer. For the Pentagon, every passing month makes drone strikes and targeted killing a tougher sell.